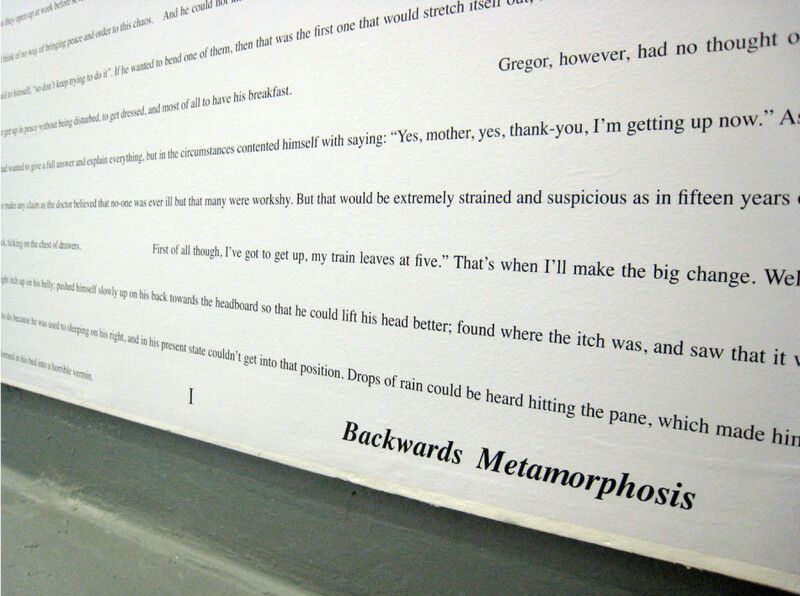 Backwards Metamorphosis is a reversed writing of Kafka’s famous novella Metamorphosis, sentence by sentence. The idea was to turn Gregor into a human again by reversing the story, but in the end it retraces his tragedy and ends as he wakes transformed into a terrible vermin. 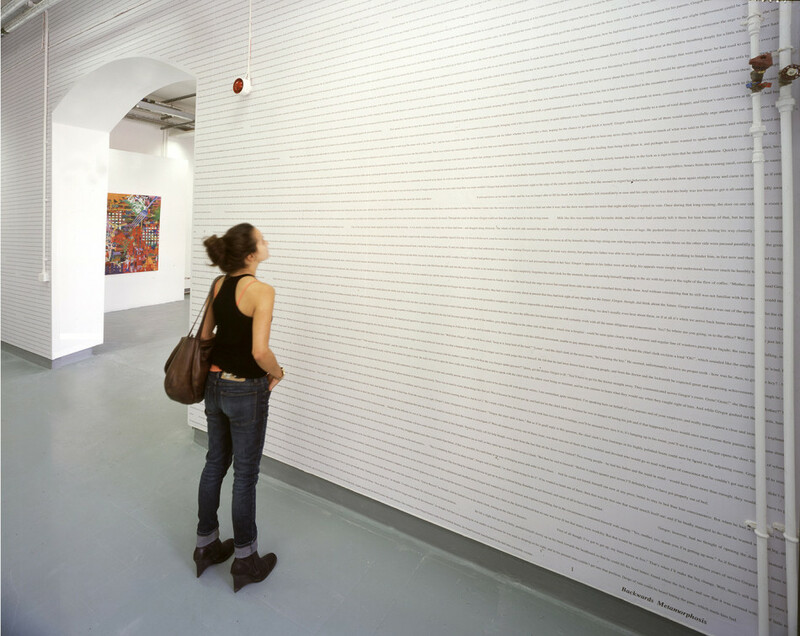 The work has been shown as a book and also installed on a wall. 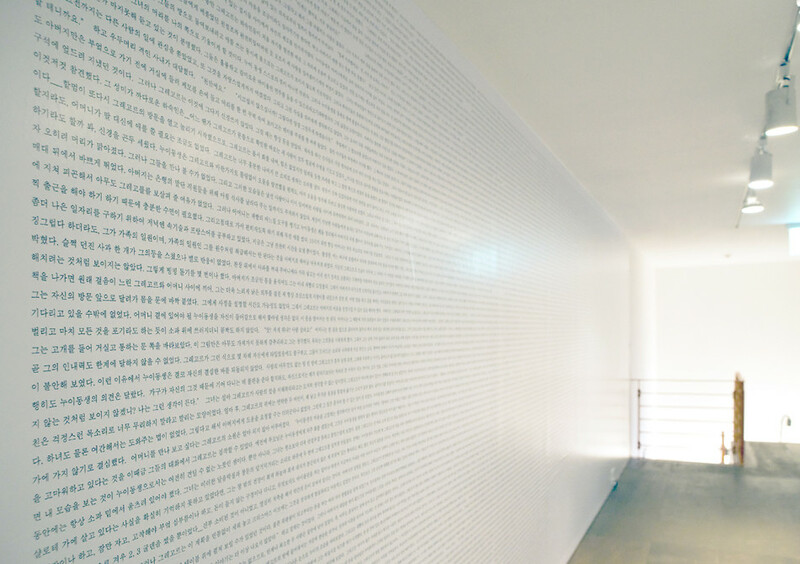 거꾸로 쓴 변신은 카프카의 소설 <변신>을 맨 뒤에서 앞으로 거꾸로 문장 단위 되쓴 텍스트 작업이다. 본래는 주인공 그레고르를 이야기를 되감음에 따라 다시 인간으로 돌아오게 하려는 아이디어에서 시작되었다. 실제로는 주인공이 침대에서 자신이 벌레로 변했음을 깨달으며 일어나는 장면으로 끝나게 된다.